We spend a good deal of time here celebrating people who make beautiful content. Maybe they take magnificent photographs or painstakingly create recipes that dazzle. But today is not about that. Today is about the people who create, collect, curate and catalogue the nasty food of the world. Here are our favorite disgusting and hilarious food blogs. Thank you for your service. Tom Kennedy collects the saddest looking, loneliest food you’ve ever seen. Then he writes backstories for each meal. 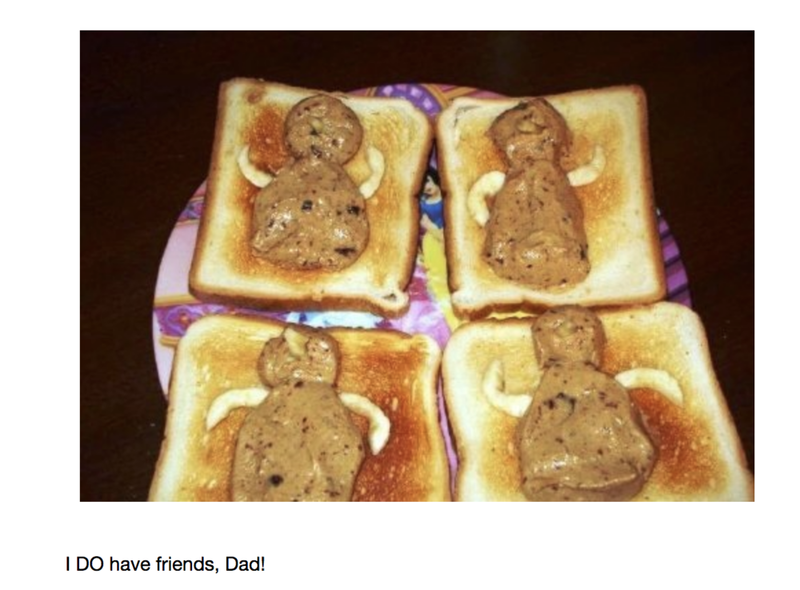 People submit their sad meals and Tom has even published a book. Their self-described bio “is a food blog that celebrates the hilarity of cooking mishaps, bad food photography, and the grossest things people shove down their throats. We're just two friends trying to make each other laugh.” Mission accomplished. This blog was created to document all the sad workers who eat their lunches right where they sit all day. “Sad Desk Lunch isn’t about how great your lunch is. And it’s not about how crappy your lunch is either. It’s about the fact you eat your lunch at your desk during your lunch break where you could roam free. Step outside. Breathe a little.” But the lunches can be really crappy too.. While not specifically a food blog, there is a robust section of spectacular food fails. This blog is “where good intentions come to die.” Unless you’re one of the crafty witches behind incredible studios like Studio DIY, Paper and Stitch, or Lovely Indeed… then you’re bound to fail at an unrealistic Pinterest-inspired caper sooner or later. This Instagram channel flips the script on the theme-- the photos are beautiful, no doubt, but their veracity is in question. If it looks too good to be true, it probably is. This account is dedicated to the criminal use of delicious junk foods as photo props by very thin women who have no intention of actually eating them.